Made for those with no prior electrical training, this course will teach you the fundamentals behind inspection and testing and allow you to move on to further qualifications. It is possible to progress onto the 2392-10 level 2 inspecting course after completing this introductory course. The City & Guilds Inspection & Testing 2391-10 Level 3 course is for working electricians who want to be able to inspect, test and certify electrical systems. The City & Guilds Inspection & Testing 2392-10 Level 2 course is a basic version of the 2391-10 course and issuitable for qualified tradesmen who want to be able to inspect, test and verify (not certify) electrical systems. The Introduction to Inspection & Testing of Electrical Installations courses is ideal for beginners who need a course that covers the basics of electrical installation testing and will allow successful candidates to continue onto Part P and City & Guilds Inspection courses. 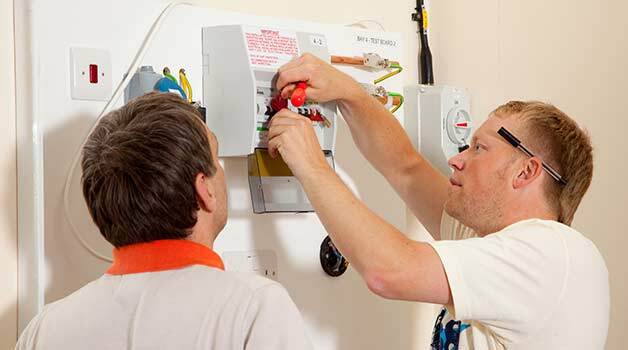 The Introduction to Inspection and testing of Electrical Installations 2 day course is ideal for those considering a career in the electrical trade. It is the step into learning the basics of the electrical trade and will give you a good foundation in the testing & Inspection area of electrical installations.